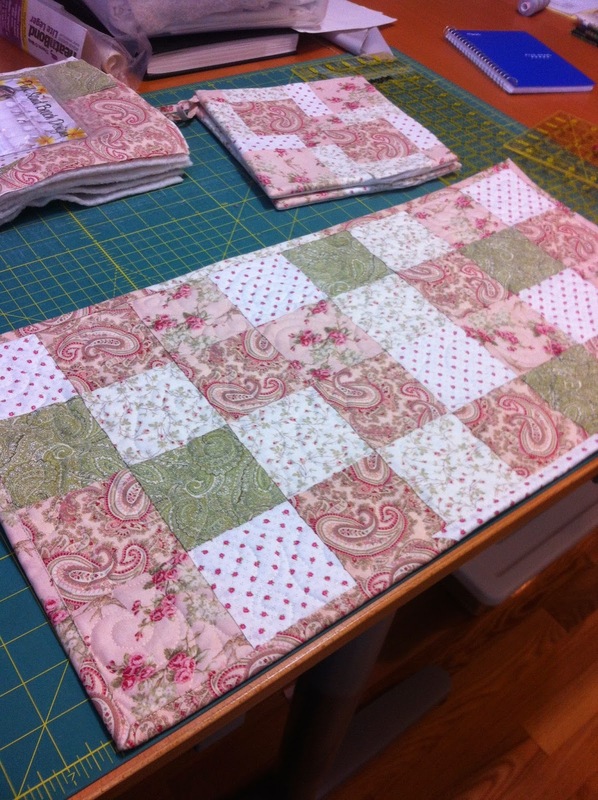 Although I sew at home nearly every day, it is nice to get away and sew in a different place. 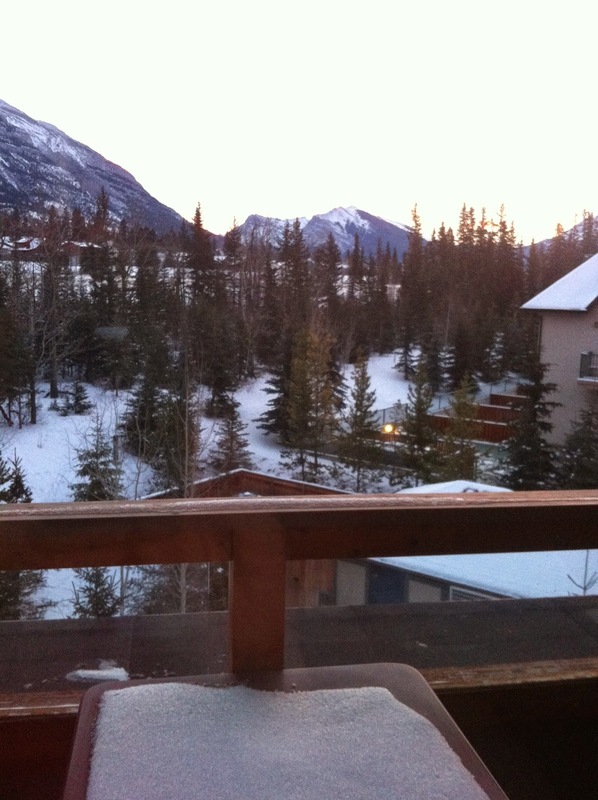 In January, I had the opportunity to go with my best sewing friends to Canmore, Alberta and spend a few days sewing with them in a beautiful mountain location. This was the view outside our window. 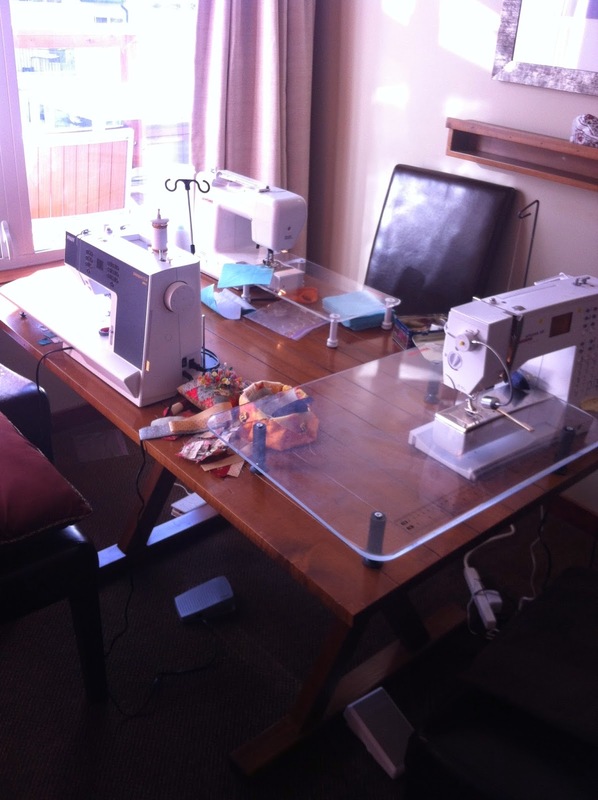 We set up 3 sewing machines on the dining room table. 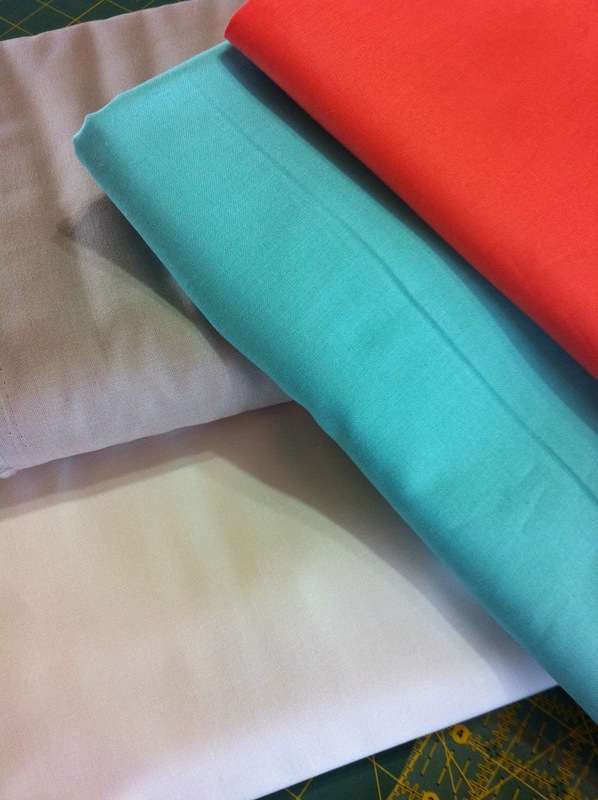 and painted fabric with Shiva paintsticks. 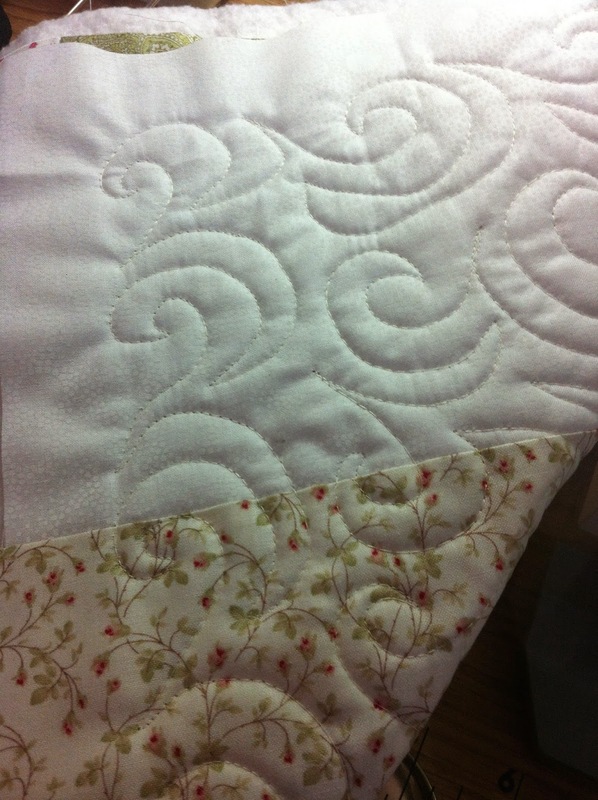 . .
and did sashiko and hand applique. 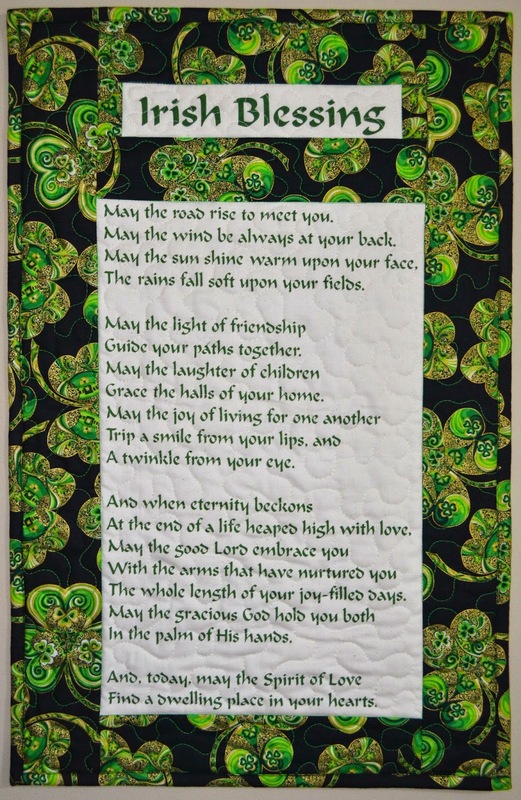 . .
Getting together with friends is always great time spent and when you share a love of something, be it quilting or something else, it just makes that friendship even more special! I'm already looking forward to next year's get away! PS - these are all creations from my friends! 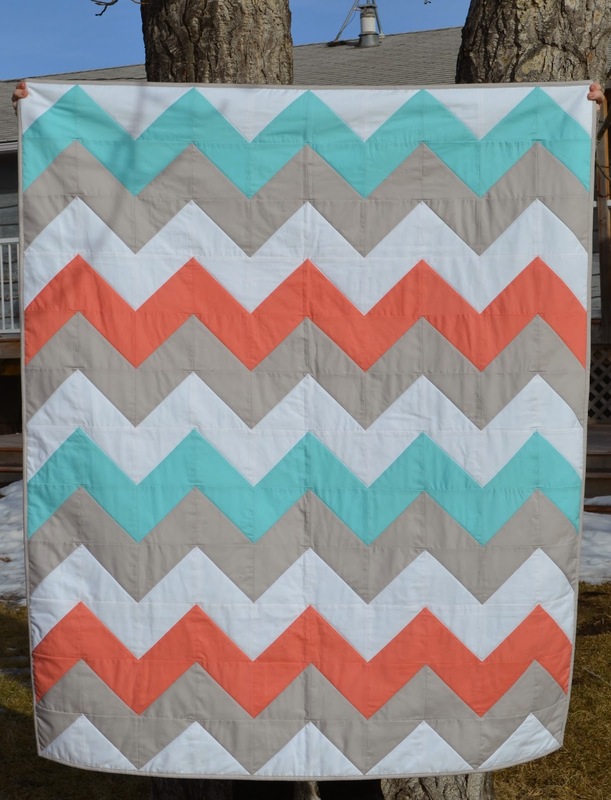 Here's the two chevron quilts that I recently finished! The blue, grey and white one is off to it's new home in Texas. 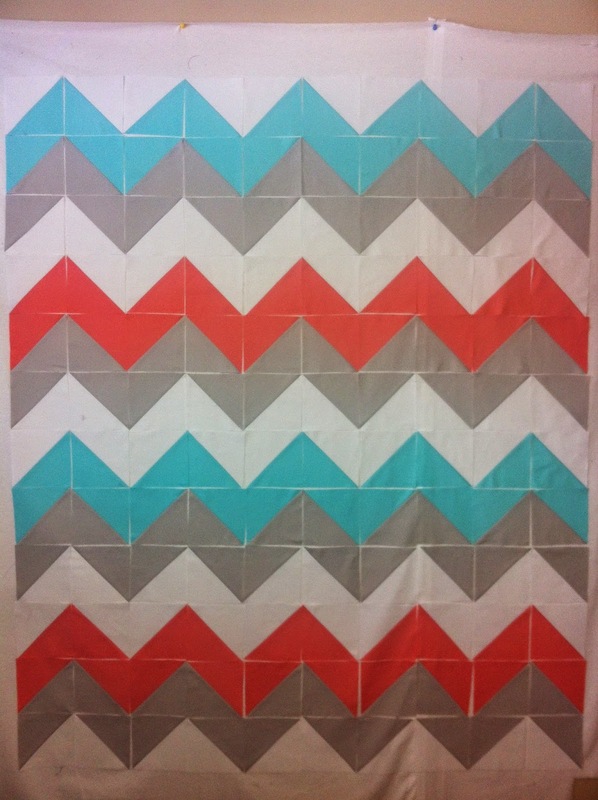 When I had the pieces from the above quilt on the design wall, I wondered what it would look like with the addition of some coral stripes. 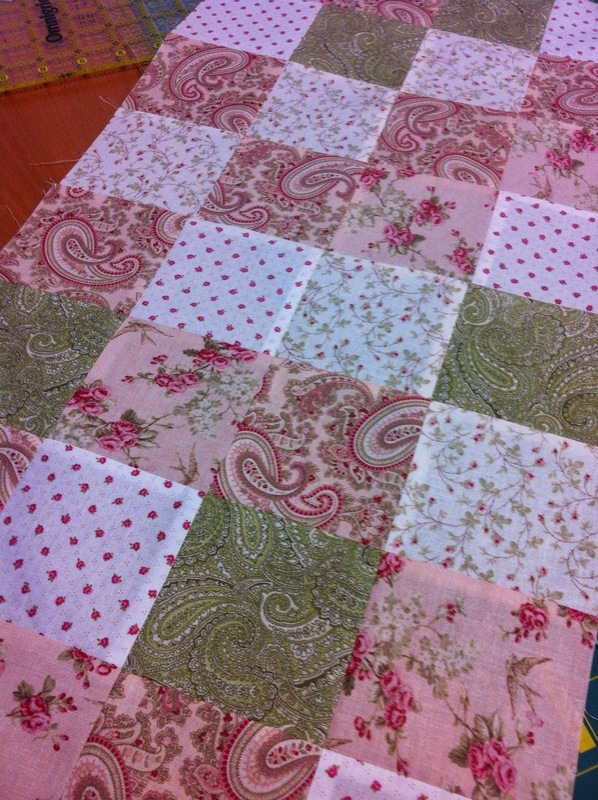 I found a great salmon colour that looks fabulous with the blue and grey and made a baby quilt. I've been backing more of my baby quilts with the Minky fabric that's so popular with baby blankets, and no wonder, as it's soft character lasts and lasts! 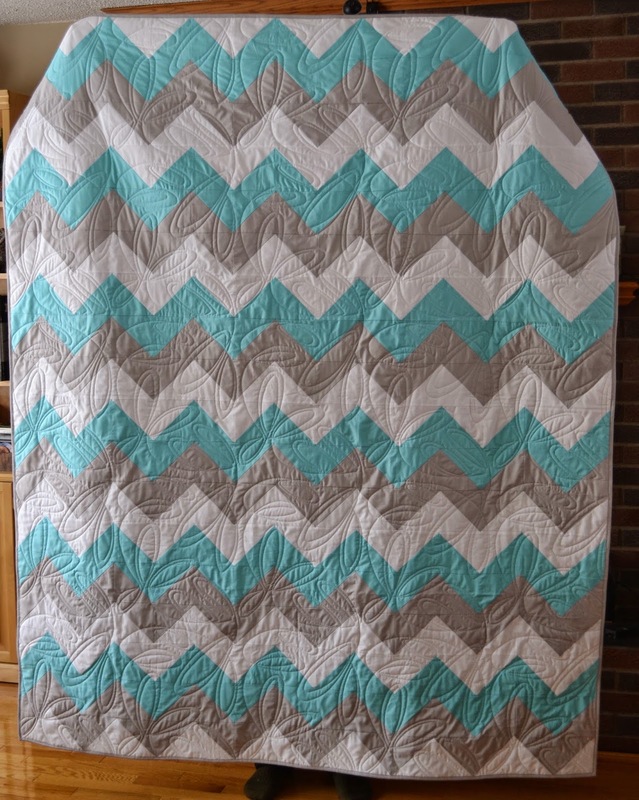 This one is backed with a Tiffany blue and it just begs to be cuddled with! 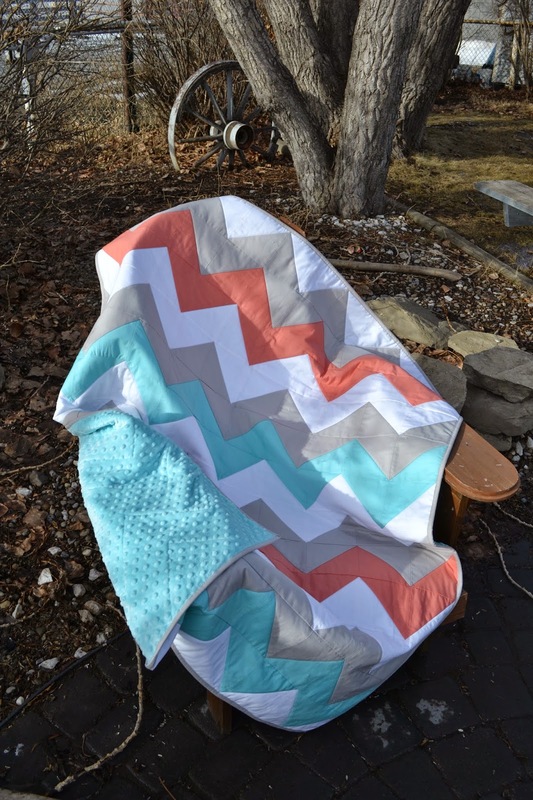 And the chevron continues to be a popular choice at Magpie Quilts and I have an order for a pink one that I need to get done this week! Just wanted to post this work in progress. I've been working on this for probably about 3 years now and the appliqué is finally finished and now I need to find a backing and quilt it. 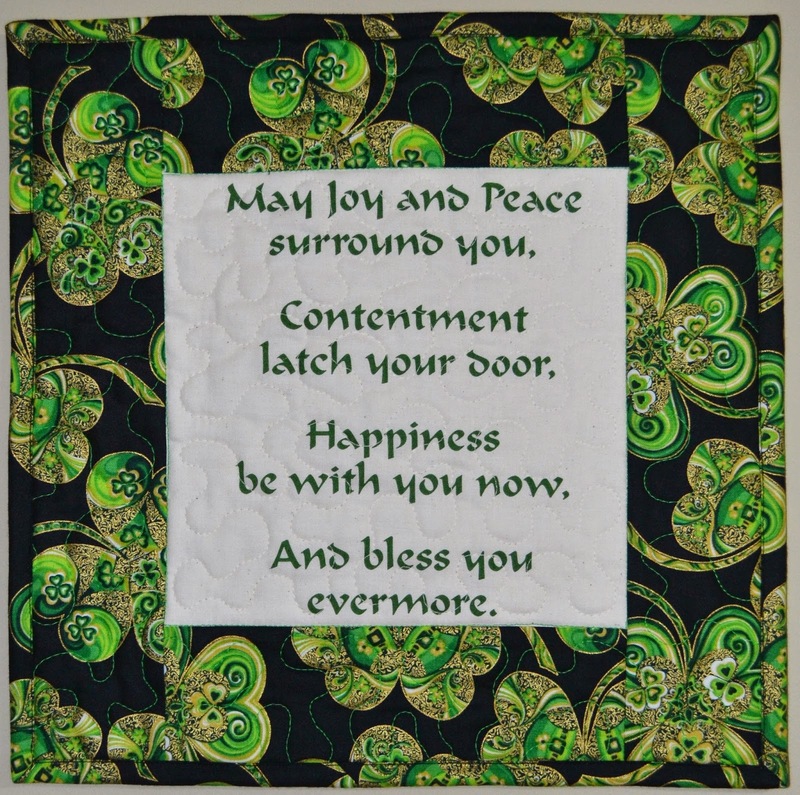 The pattern is called Cottage Garden and is in the book Simple Graces by Kim Diehl.